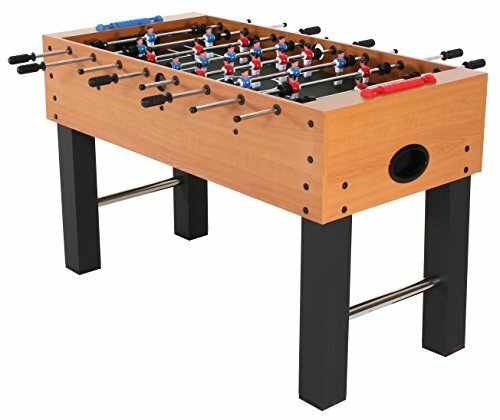 Perfect for all ages, the American Legend Charger 52" Foosball Table features a light oak finish, ½" chrome hollow rods, and chrome cross bar support for added support. Non-slip grips are great for that power shot with your realistic players. The Charger has an internal ball return system and solid 3.75" square legs for stability. Keep track of the score with the abacus-style scoring. The table measures 53.5" L x 26" W x 34" H and the 3/16" MDF playfield resists warping. If you have any questions about this product by American Legend, contact us by completing and submitting the form below. If you are looking for a specif part number, please include it with your message.